NOTE: This is not the time to use the fancy olive oil. Go ahead and use that bottle of $5 oil from the supermarket. I also prefer to use Virgin olive oil, rather than extra virgin for this preparation, because the Extra-Virgin’s flavors are going to get lost in the garlic and oven anyway. Preheat oven to 300 degrees F. Place garlic in a baking dish and cover in olive oil. 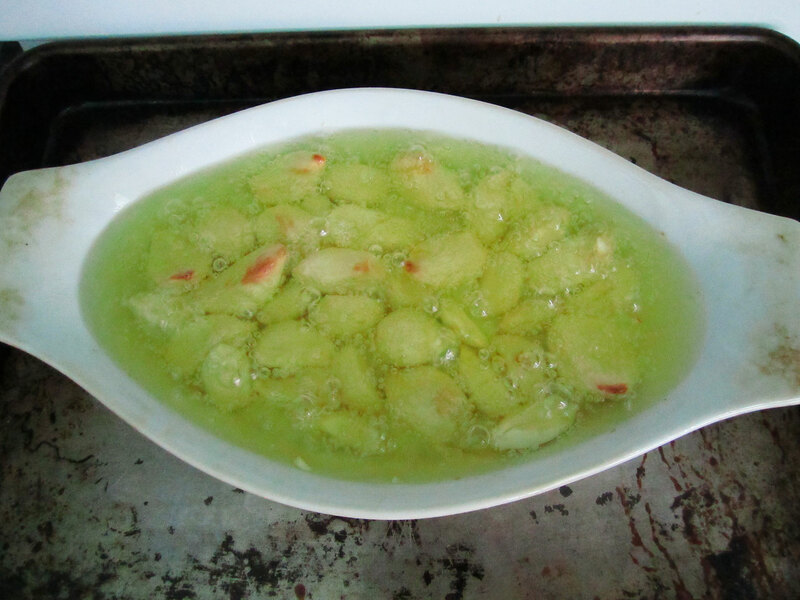 Place the baking dish on a baking sheet, and bake for 25-40 minutes, until oil bubbles and garlic softens. Carefully remove from oven (remember, this a giant dish of 300 degree oil, ok?) and cool to room temperature. If you don’t need to use the oven right away, you can cool the oil in the oven and remove when it’s cool. That’s the safer option. Allow the garlic cloves to steep in the oil until it is cool. 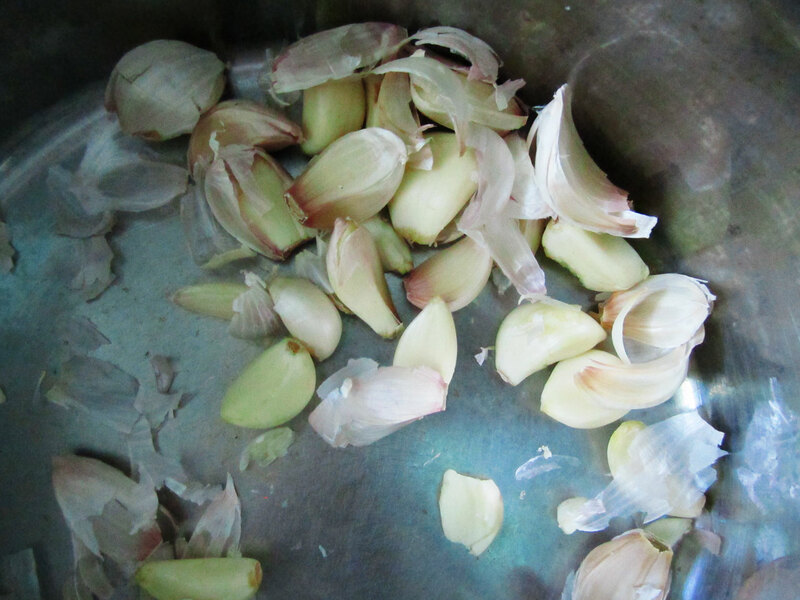 Strain out the garlic cloves and place in an airtight container, place infused oil in another airtight container. Oil will keep, at room temperature in an airtight container for a week, though it is best used within 3 days. 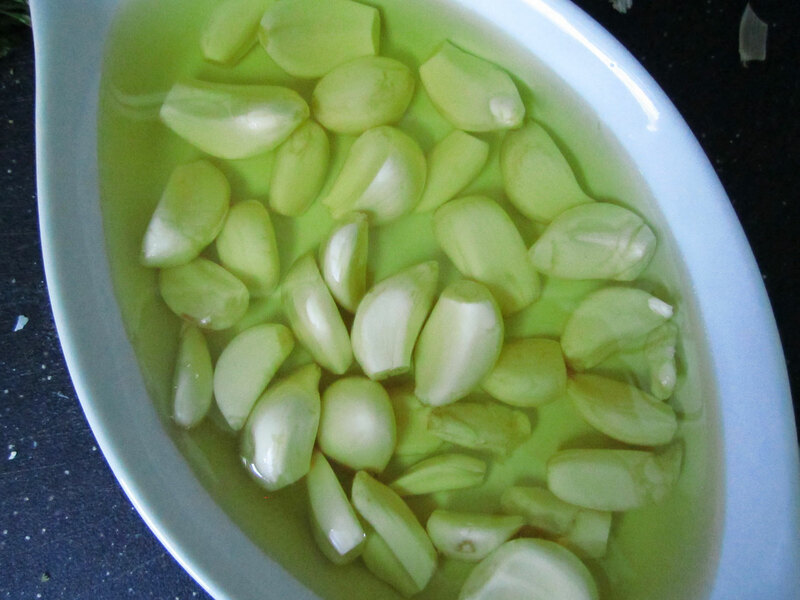 Roasted garlic can be refrigerated and kept for 2-3 weeks.